The history of the old Planter´s punch has been told many times and it´s not that long ago i did a post on it with eight different variations where Don`s own is one of them. Now i`m back with the planter`s again since it`s one of the drinks i need to try and post from Grog Log since i`ve taken upon myself the task to do that inspired by Erik`s stomping through the Savoy – a real heroic effort since that book is not a small one. 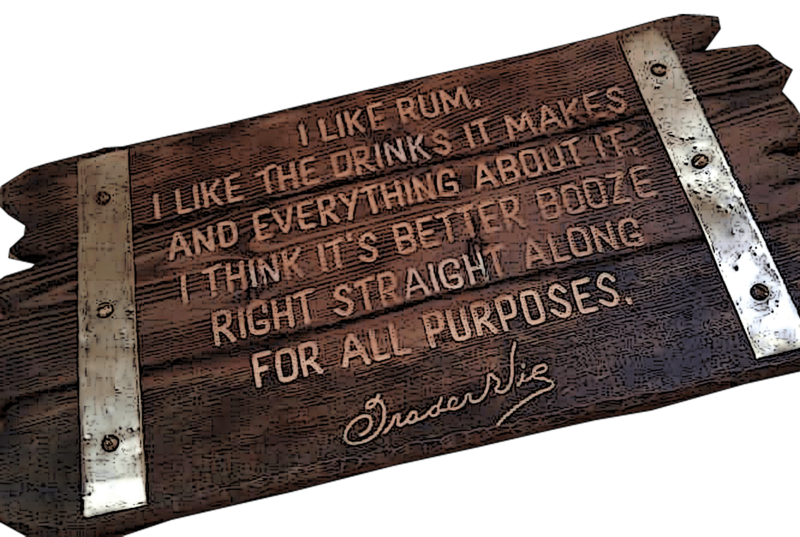 Well, mixing through Grog Log is both great fun and educational! 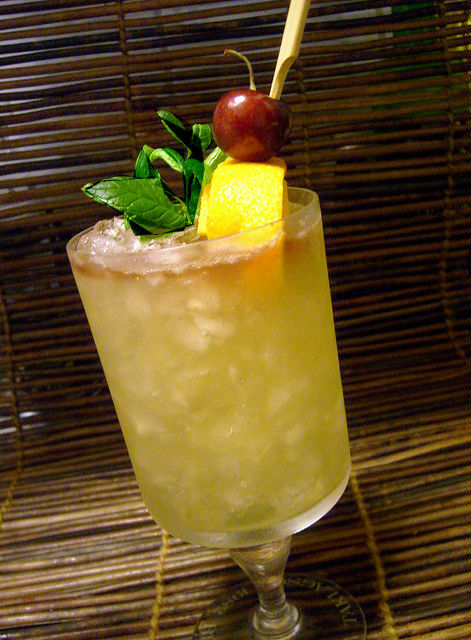 This Planter`s punch was made by Don the Beachcomber in Honolulu in the 50s. 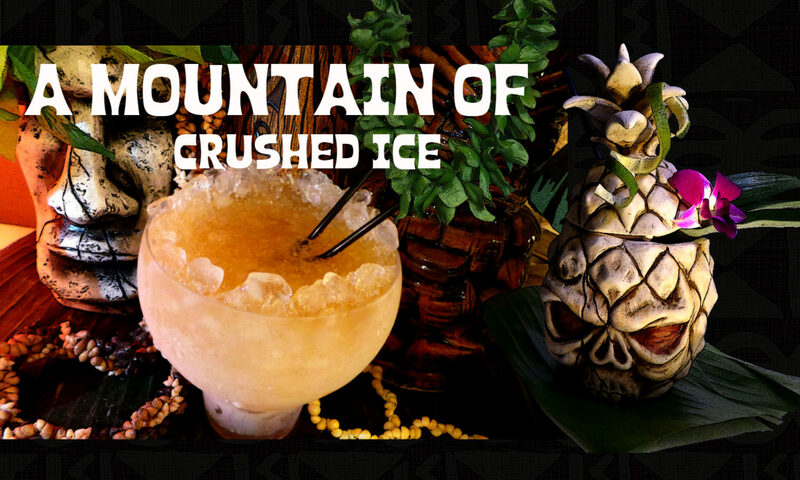 It must have been nice to be around in the great tiki era when it comes to tasty drinks. Shake with ice cubes and pour everything into a pilsener glass and garnish with mint, cherry and pineapple finger. 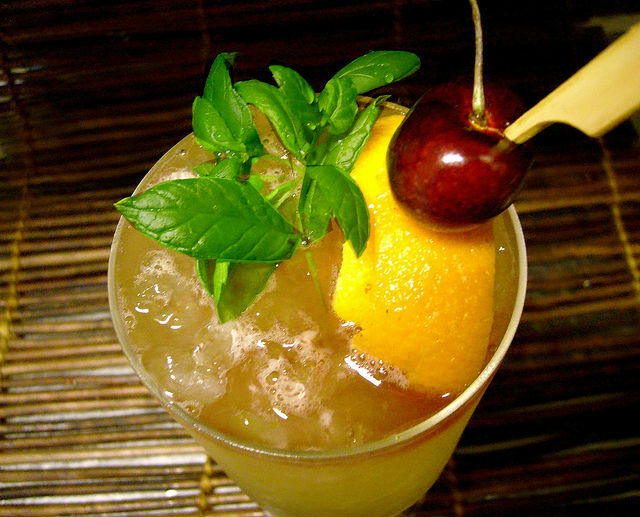 I didn´t have any pineapple at home, so i used an orange peel for garnish instead plus a cherry and some fresh mint. Then i topped with a few extra dashes Angostura bitters on the ice. 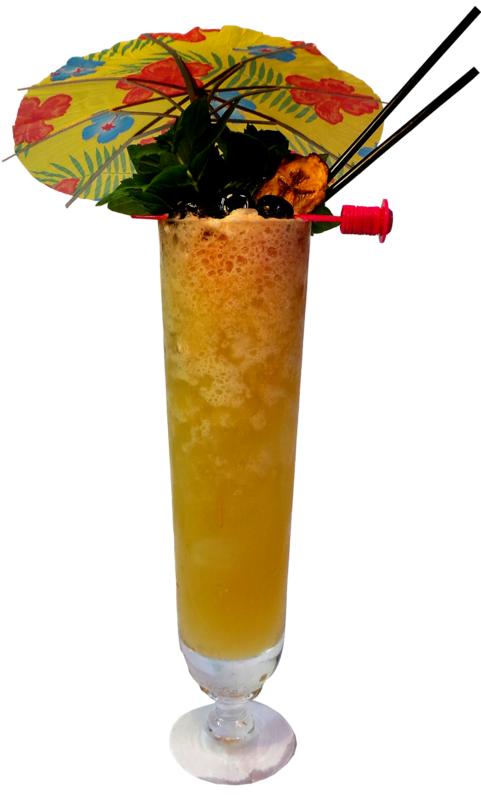 This drink is what you put in it, you can play with various rums and get different flavors. For example i made one with 1 oz aged cachaca and 0.5 oz Smith & Cross. An aged rhum agricole would make it yet different and add some grassy notes. Blend everything in blender for no more than 5 sec. 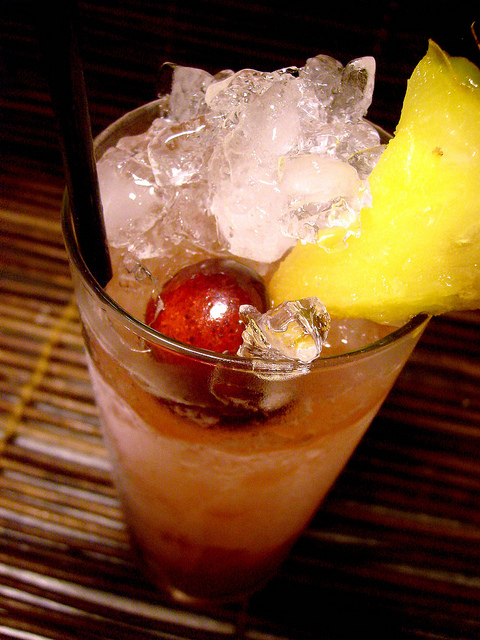 Pour everything into a tall glass and garnsih with pineapple and cherry. It was tasty with bourbon too! and very refreshing. Yeah me loves me some Bourbon! This is a lazy drink..meant to be sipped and savored in a rocking chair on the porch..watching the tropical sun go down.